Read and know about a new feather in the cap of MySIPonline and what led us win it. They say awards do not just acknowledge success; they recognize several other attributes which push one to work, further, with even more dedication and productivity. The same sense of achievement was recently experienced by us when one of the leading AMCs in India, i.e., DSP BlackRock MF admired our hard work with two of the titles. Mr. Virendra Ranawat received the honor of creating the ‘Highest Equity & Debt Net Sales’ by Mr. Hemendra Kothari, MD, DSP BR MF. On June 10, 2018, in the city of dreams, Mumbai, the glittering ceremony- “Futurist Awards” took place at JW Marriott International Juhu, Mumbai, Maharashtra. Present there were several dignitaries including Aditi Kothari (Executive Vice President and Marketing Head), Hemendre Mathradas Kothari (Managing Director), Vinit Sambre (the Head of Equities), and Kalpen Pareekh (President, DSP BR MF), to name a few. The day offered us a chance to meet with several renowned faces of the industry and discuss our thoughts and upcoming plans. Such achievements are a signal that it’s time we need to move a step ahead and push our current set limits. And, the motive is just one, to provide our customers with the best in the industry. It couldn’t have been possible without the continuous support of you people. We believe that it’s the trust that our clients have placed on us which is the key to our growth, says Virendra Ranawat. It is one of the attributes which has led us to accelerate our business at such a fast pace. Thanks, everyone for being an essential part of our success stories. We assure you all that we will go all out and make every single effort to create burgeoning opportunities for investments in mutual funds. 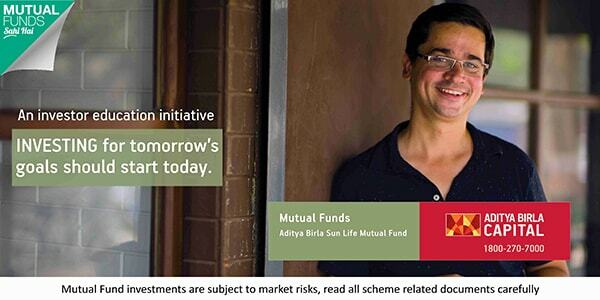 If you’re still thinking to start an investment, then it’s time you too should join hands with us. Our experts are waiting to serve you with all their might.